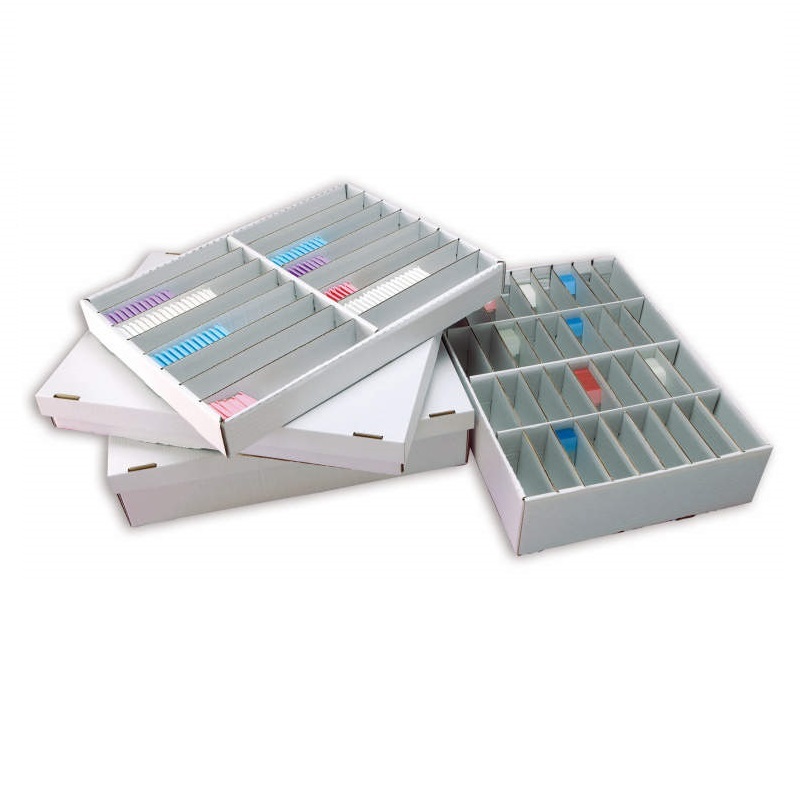 Top cassette storage system, metal body complete with 5 rows and 26 ABS trays (with coloured fronts, colour on demand) and 26 device for each row. Storage capacity 14.560 embedding cassettes. Measures (W100xD50Xh80 cm). Optional looking doors.